The Tucson Chapter of the Brandeis National Committee (BNC) welcomes you to our Web site! We are a local support group for Brandeis University, America’s only nonsectarian university founded by the Jewish community. It’s multi-ethnic, multi-religious and multi-cultural student body consists of students from throughout America and around the world. Enjoy fundraising, educational, and social justice activities that enable members to connect with each other, with the community, and with Brandeis University. We have an active chapter with numerous Study Groups from which to choose. In addition, helping at our Book Depot, attending luncheons and special events are all wonderful ways to make friendships while enriching yourselves, educationally, creatively, and artistically. Funds raised this year support the Tucson Chapter’s Endowed Scholarship for Tucson-area students accepted at Brandeis University, and for our Sustaining the Mind Scholarships and Research in neurodegenerative diseases. We support local non-profit groups: Youth On Their Own, The Emerge Center Against Domestic Abuse, and the San JoseWomen’s Center for homeless women.While we help enrich their lives, we enrich our own. We look forward to having you enjoy our FUNraising and FUNDraising chapter. 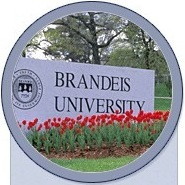 The Brandeis National Committee is dedicated to providing philanthropic support to Brandeis University, a distinguished liberal arts and research university founded by the American Jewish community. Its membership is connected to the University through fund raising and through activities that reflect the values on which the University was founded: academic excellence, social justice, nonsectarianism, and service to the community. • Fill out the Amazon search box below and click on "GO!" • Buy anything from Amazon. • The Tucson Chapter will benefit from all your Amazon purchases made this way. © 2019 Tucson Chapter of the Brandeis National Committee. The Tucson Chapter will benefit from all your Amazon purchases made this way.